10-4650 Rembrandt- Four! 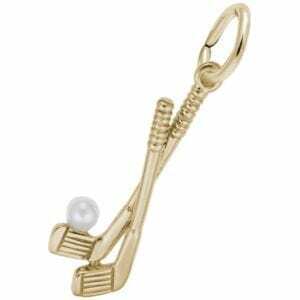 Take to the fairways with the Golf Clubs With Ball Charm or keep the memory of your best score on the back nine. Pearl. 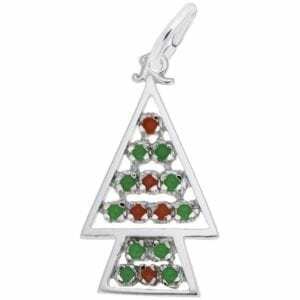 10-8187 Rembrandt- Spread some holiday cheer with the Beaded Christmas Tree Charm on a charm bracelet. This jewelry piece lets you celebrate the season. 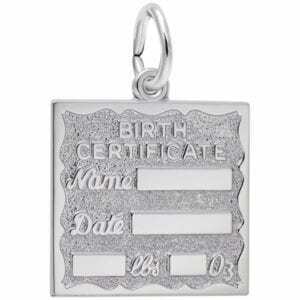 10-4763 Rembrandt- The Birth Certificate Charm is a beautiful way to treasure the memory of any new baby’s birth. Engrave the name, date and weight. 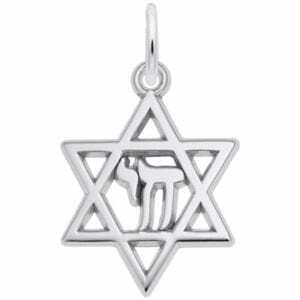 7000771 Rembrandt- Keep your faith alive with this Chai Star Of David Charm. 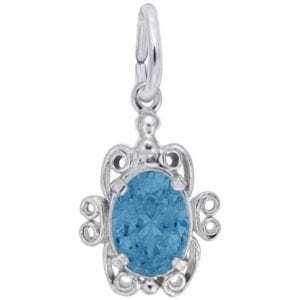 This item will give you the faith and hope to keep moving forward. 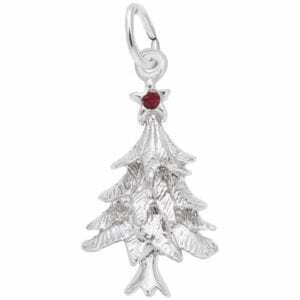 10-2361 Rembrandt- This Christmas Tree Charm has a tree topper that sparkles. 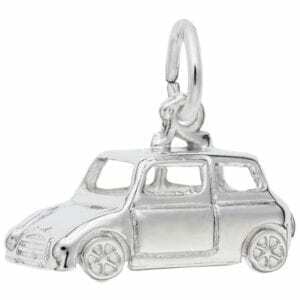 Brighten your holiday season and patiently wait for gifts under the tree with this charm. 10-8200 Rembrandt silver classic British car. 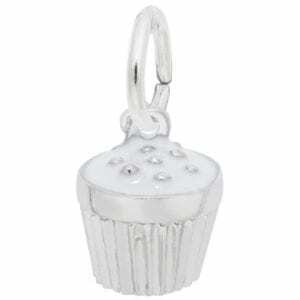 10-8343 Rembrandt- The Frosted Cupcake Charm is one tasty dessert without the calories. 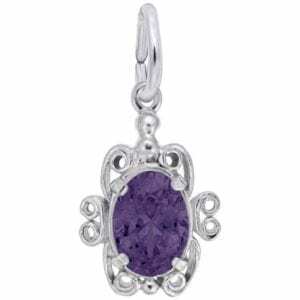 10-0357 Rembrandt- Take a slow gallop back to the stables with the Extended Trot Horse Charm. 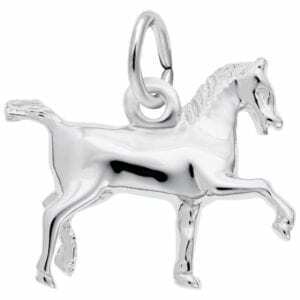 This charm is perfect for equestrians or anyone who loves horseback riding. 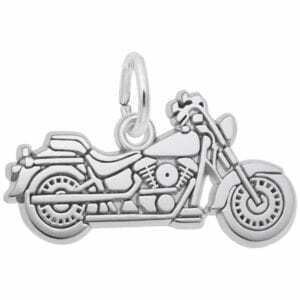 10-7748 Rembrandt- Ride along the open road with the Flat Motorcycle Charm on your charm bracelet. 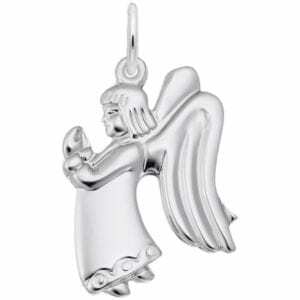 10-1678 Rembrandt- If you have a guardian angel over your shoulder, our Flat Praying Angel Girl Charm is a great way to always keep her close.